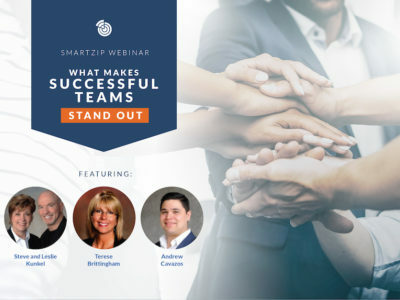 Whether you need help gathering exclusive real estate leads, nurturing top prospects or using social media and emerging technology, SmartZip's webinars will help you unlock listing success. 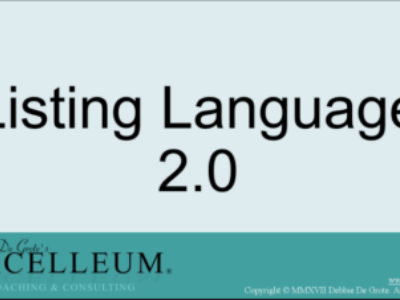 Sign up to attend future webinars or watch a past recording below. 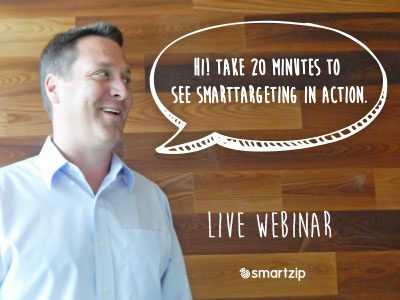 You’re invited to join a free, online tour of SmartTargeting, the premier marketing solution that real estate professionals across the country use to win more listings and grow their business. See first-hand how predictive analytics identifies top seller prospects. Discover how targeted marketing campaigns can help you engage and convert these homeowners when they’re ready to sell. SmartTargeting offers tailored solutions for agents, teams, brokers and, enterprise. 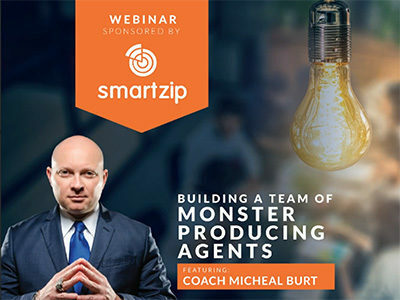 Join renowned Real Estate Coach Micheal Burt as he shares proven, effective frameworks of producing at Monster Levels. In this webinar, you'll learn how to help your agents (1) understand sales systems; (2) better market and position themselves; (3) perform as a team; (4) become "People of Interest;" (5) differentiate themselves in saturated markets; and (6) multiply their business. On Demand. 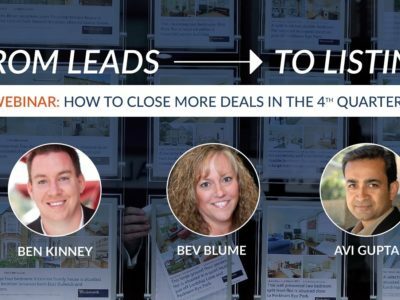 Check out our recorded webinar with Ben Kinney, Bev Blume and Avi Gupta as they share their secrets on how to generate even more business during the 4th quarter crunch time! Find out how you can find, cultivate, and convert more leads and multiply those for a strong year end and start to 2019. See How you can get SmartZip's referral management platform Reach150 for one year FREE! 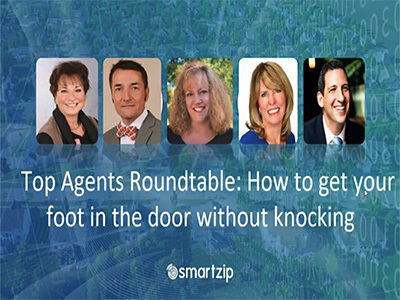 Hear from top agents across the country about how they creatively connect with and close listing prospects when knocking is not the best option. 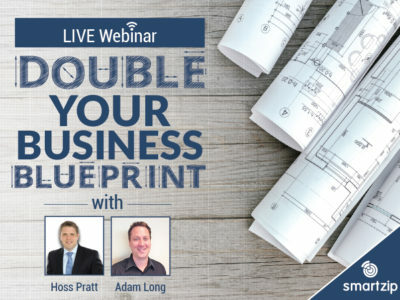 Hear Hoss Pratt, renowned real estate coach and CEO/Founder of Hoss Pratt International, as he explains how to double your real estate business. Listen in as Hoss Pratt discusses all the tools and strategies you need to transform your business and your lifestyle, no matter what income level you're currently at. Hear a previously recorded webinar with coach Debbie De Grote as she discusses top strategies, scripts and tips to grow your referrals and maximize your business.